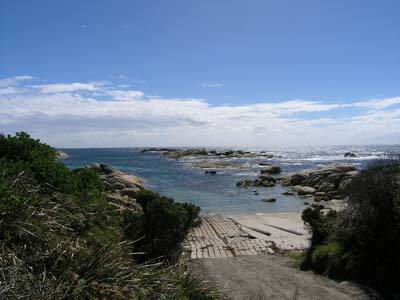 When reading about Tasmanian dive sites, the praise for Eddystone Rock on the north-east coast was high. However, this is a boat dive but there is no local operation as it is a bit isolated. I had thought that I would do a shore dive at Binalong Bay near St Helens but when we looked at the site, it appeared to be too shallow and lacking in an decent amount of rocky reef (the water was so clear and shallow you could see the entire reef). 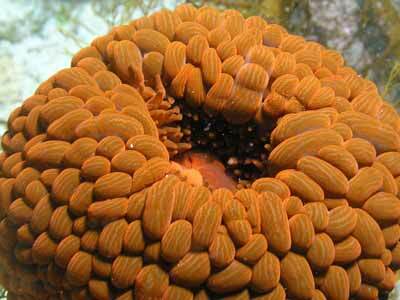 As such, I was getting desperate for another dive so it decided to try Eddystone Point. 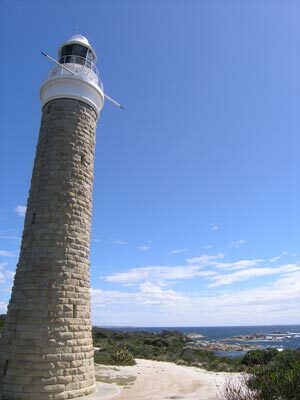 Eddystone Point is located to the north of St Helens and east of Gladstone in the north-eastern corner of the island. It is a far way off the normal roads. There is a lighthouse here and a camping area. That is it for at least 50 kilometres. Upon arriving at Eddystone Point, the wind was blowing from the south at over 20 knots so the only place to dive was the small bay that houses the boat ramp. 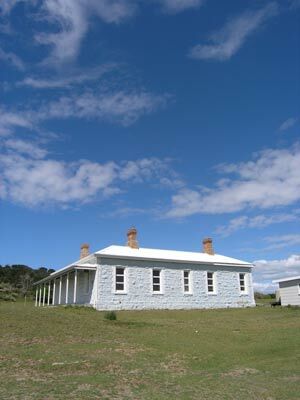 This is right next to the lighthouse reserve. After gearing up, I walked the short distance to the ramp and entered the water. As it was so windy, there were no boats out (I could tell as there were no trailers) so it was going to be totally safe. The water is very shallow, about two metres at the most for nearly all of the bay. I should have added a bit of weight as I was a little light. Anyway, there is a lot of kelp, some of it with fronds about one metre wide. There is a lot of weed and green algae as well. I followed the eastern side of the bay when heading north. 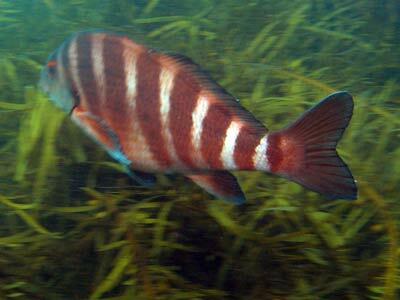 There were lots of striped morwong, quite a few swimming anemones, many wrasse, and some seapike. The depth finally increases as you get towards the open sea and I reached about 10 metres. 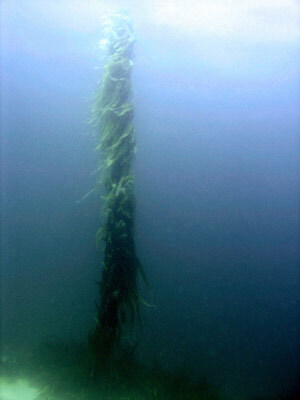 Here there is some really large kelp that stretched from the bottom to about three metres. I headed west out here till I struck some more rocks and then followed these back to the south. Along the way I saw some huge abalones and a school of salmon and closer in, a school of garfish. I actually came up in a small bay to the west of the ramp and had to go out a bit and back south again. No problem though. I only did a 47 minute bottom time as I was diving by myself and I had promised Kelly I would be back in 45 minutes. At least by this time she could see me! Visibility was about 10 metres and the water temperature 17.0°C in February 2008. I could not recommend it as a must do dive, but if you are bored and need a dive when in the area, I suppose it is okay.